Just after Guardians of the Galaxy took the top spot at the box office this weekend, director James Gunn posted a statement on his Facebook page to thank the fans for their support. Take a look at what he had to say below. Thanks to all of you who saw (and are seeing) Guardians of the Galaxy this weekend, from the bottom of my heart. The Guardians are a group of oddballs, outcasts, and geeks. The movie is for anyone who ever felt cast aside, left out, or different. It's for all of us who don't belong. This movie belongs to you. And, today, I think we're doing okay. I am of course happy with all the film has accomplished box-office-wise. But what touches me the most is that the film I told the folks at Marvel I wanted to make two years ago is the film that you're seeing in theaters today - it's that so many of you seem to be directly EXPERIENCING the film I INTENDED. The cast, the producers, the crew, and I felt like we were making something special while we were making it. But it is very rare that a director's INTENTIONS in creating a film, or a scene, or a character, or a line of dialogue are, seemingly, specifically what is experienced by an audience (not to mention critics! ), and that seems to be what has happened here. You have allowed a talking raccoon - for a moment, a minute, or a day - to make you a little more human. And for that, I am profoundly grateful. If I relied on myself to implement these intentions, the film would be a shambling mess. But instead, I had a wonderful cast, genius producers, an incredibly brave studio, sublimely talented visual effects artists, great editors, and the best damn crew of mostly-British bastards to actually implement these intentions for me. Where I had a good idea they would, through alchemy, transform it into a great one. Many of you involved are friends of mine on Facebook. Many of you will read this somewhere else. I love you all. You may remember me posting here a couple weeks ago how sad I was to be finishing up the film, that I was having trouble letting go of Rocket, and that I was going to miss him. But seeing him (and Groot, and the rest of the team) embraced by the world like they have been, to be UNDERSTOOD, makes it a wonderful letting go. It's like giving a foster pet up for adoption to the most wonderful parents in the world. And, of course, I'm not really saying goodbye as, while many of you have been enjoying the film, I've spent this weekend hard at work on the sequel. I couldn't help myself! The results are nice but it's really the creative process I love and that keeps me going. I'm on fire with this thing! The Guardians have so many hardships and heartaches and triumphs ahead of them, and I can't wait to share them with all of you. 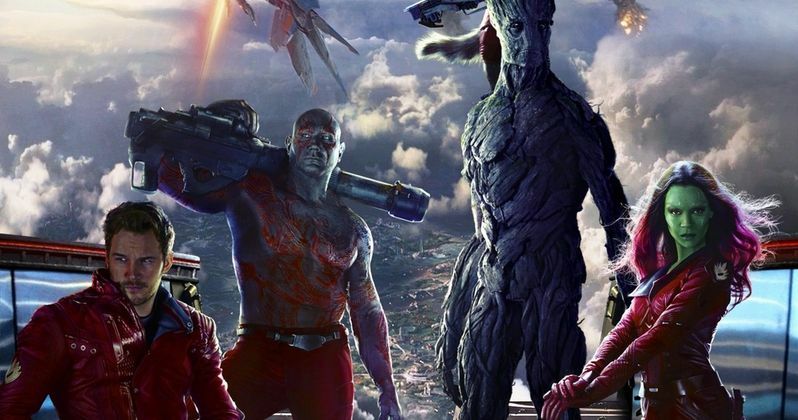 Are you excited to see what the future may hold for the Guardians of the Galaxy? Chime in with your thoughts below.